Settle. A #teaclub Day Out. You can’t beat a grand day out in Yorkshire. With clear skies and beltin’ weather, the TeaClub boys B & M went for a day out to Settle. It’s probably our favourite place in Yorkshire. Countless places for good tea, the joint-best fish & chip shop and Booths Supermarket for a spot of tea aisle browsing. Benn, dressed in his Lumberjack shirt, turned up at the station. Michael, dressed in his floral blue shirt and red trousers, turned up at the station. It was the ingredients for the perfect storm. The views were breathtaking once we left the urban jungle of Keighley and market town of Skipton. Fields upon fields of farmland, dry stone walling, rolling hills and sheep. We discussed what kind of places we would like to visit and after some careful planning we came to the conclusion that we’d like to visit places that serve tea. Settle Station is gloriously well looked after and could easily feature at the Chelsea Flower Show if it was mobile enough to move a few hundred mile down south. 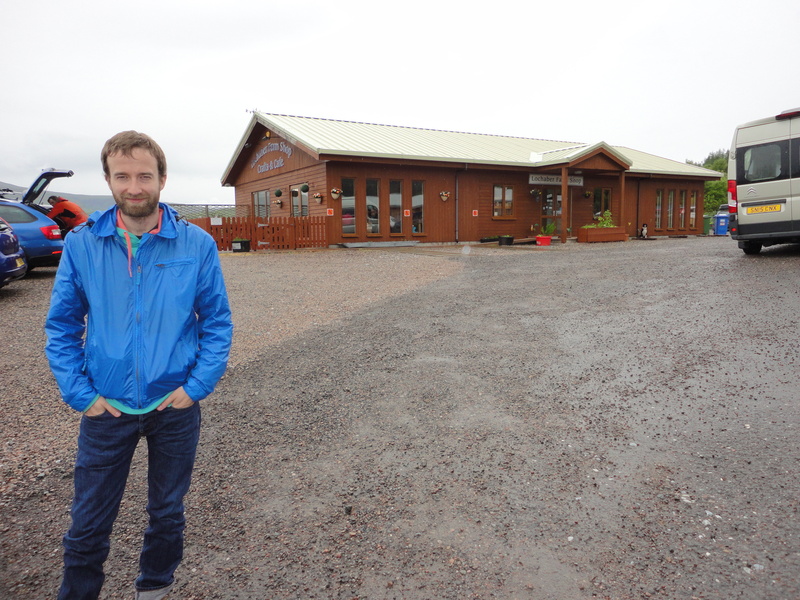 Our first point of call was the Lay of the Land Garden Centre cafe (above). It’s got everything you need for an English country garden and has a pretty cafe at the back with outdoor seating. We should have taken advantage of this but thought the seating outside were products on sale! Still, the interior is equally as comfortable and pleasant. The tea is thirst class thanks to the guys at Brew Tea Co. Two pots of English Breakfast were guzzled down as we admired the range of tea and showed some appreciation for the Casa Espresso Coffee on offer too as they’re out Twitter buddies. It was a little early in the day for fish & chips and we didn’t want to look like a couple of crazed concert goers waiting for the doors to open for a Chas n’ Dave gig. We took a romantic stroll around Giggleswick and agreed that other than fine views, there wasn’t much in the way of tea. Fish n’ Chips it was then and where better to enjoy it than at The Fisherman. With mushy peas and a pot of tea on the side, we made noises of appreciation such as “ahhh” and “mmm“. These noises carried on until it’s final crescendo of “that were grand were that“. We discussed our favourite Yorkshire views. Michael said it had to be the Ribblehead Viaduct. Benn said the tea aisle at Booths. Patience Benn. Patience. View of Settle & Giggleswick from up a hill. Tea – Sorted. Fish & Chips – Sorted. Time for a view. We hiked up the cobbled hill behind the market square and into the open fields of Settle. We realised that our footwear wasn’t the best and we can only apologise to Kate Bush for not getting up the hill quicker than we did. But oh my days the views! Incredible. Maybe the Ribblehead Viaduct has stiff competition? We stayed for a good 20 minutes to soak it in. It was all downhill from there but only in a literal sense. Booths Supermarket is probably our favourite supermarket out of them all. Even though most are in Lancashire, you do get a good few in Yorkshire & Cumbria. 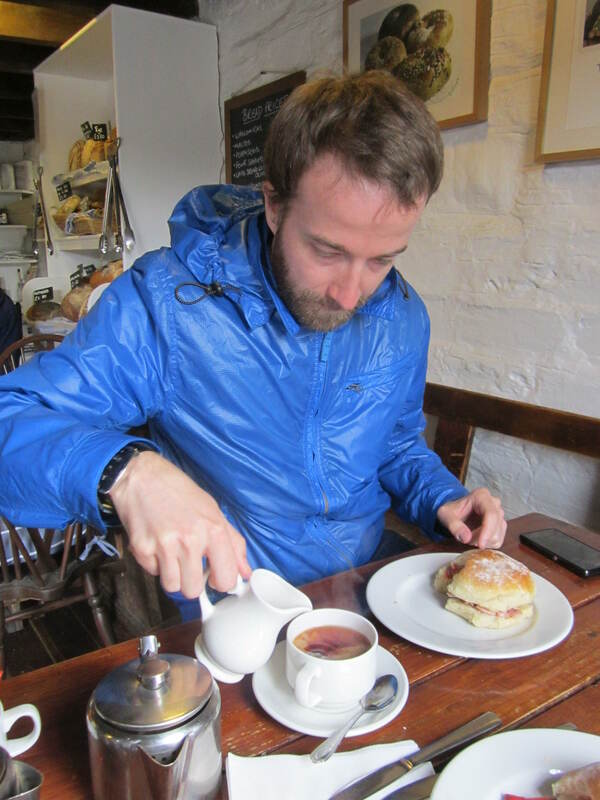 The store in Settle is a great place for great Bread, fresh fruit, a diverse range of beers and of course tea. Michael picked up a bag of loose leaf All Day Tea. A blend of African teas. Splendid. The day out was coming to a close. A nice walk around the grounds of The Water Tower and a chat with its owner concluded our day in style. It really is an iconic building and well worth the visit if the invite is there to come explore the grounds. Check the gate before entering. Tea. Fish & Chips. Views. Booths. Now that’s a proper TeaClub day out. I could see Grange-over-Sands in the distance as well as birds flying and a silver Volvo with it’s left indicator on. First class views these were. A day out on the trains with Michael from the #teaclub in search of good tea and splendid views. All thanks to Northern Rail. A few weeks back I decided to set a ridiculousl… a ridicou…. an early alarm so that i could be up and ready for a grand day out on the trains. Thanks to the local press, readers were able to collect 2 tokens and exchange this, along with £10, for unlimited travel for the day. I’d been saving my tokens for so long in the hope that we would see a bit of sunshine. Weeks went by where the Saturday’s were looking fairly miserable out and with the Christmas and January floods still affecting many parts of North Yorkshire and Cumbria, it was hard to see where I could go and if I could go. Fortunately that day came. On the 27th February 2016 I got my backside out of bed at the crack of dawn to make the 8:43 to Carnforth. Scrambling together a playlist for my iPod I donned my tweed flat cap, got my walking boots on, packed the binoculars and camera and set sail… or set rail in this case. My Northern Rail choo-choo train arrived on time. On I went and I got the tunes pumping from my ghetto-blaster, much to the delight of the travellers. It’s Tricky by Run DMC went down an absolute treat, creating a dance off between the two carriages. Before we even got to the end of Push It by Salt n’ Pepa, we had arrived in Carnforth. The Refreshment Room. Pleasant cafe in the middle of the Carnforth Station. Great tea too. Loose leaf tea. Thumbs up..
Poster of Brief Encounters film, which was filmed here. Being a tea drinker, I had come to Carnforth to sample the delights of The Refreshment Room. Located in the station, the cafe was famously used in the classic film Brief Encounter where the station was known as Milford Station. I wasn’t hear to contemplate cheating on my beloved however. I was strictly here for the tea, and a sausage butty. To my surprise I was greeted with a pot of loose leaf tea. The day was off to a flyer and I sang the praises of the cafe on the way out when signing the guest book. A brief stroll up the main street of Carnforth and I found myself being sucked into Booths Supermarket like The Tea Witch to a life-sized, cardboard cutout of Christina Hendricks. I always enjoy a good visit to Booths for some fresh fruit and some quality tea. I came away with a box of 40 Ceylon teabags. Love the new packaging. I followed this visit up with a pit stop at Carnforth Bookshop. Opened in 1977, the family run book store has three floors (many of which that creek, which adds character and charm to the place) of books, books and more books. I went for the humour section. Pulling up a chair, I enjoyed reliving my youth and reading a Graffiti book written by Nigel Rees. My grandfather got me into reading the wit that was written on our walls and I attribute Nigel’s books as the early foundations of my own humour. A great purchase for little over £1 second hand. View of Morecambe Bay and Arnside Viaduct, complete with choo-choo train going across. Panoramic view of Morecambe Bay. Just a few minutes down the line I hopped on the train to Arnside, a beautiful little village that offers smashing views of Morecambe Bay. I was in my element here as I went straight for the binoculars as I walked along a small pier. By ‘eck them views were crackin’. I could see Grange-over-Sands in the distance as well as birds flying and a silver Volvo with it’s left indicator on. First class views these were. The walk to New Barns Bay seemed popular with walkers and dogs alike. Highly popular with visitors, The Beach House Cafe sits on a steep footpath. Unfortunately it was closed today. I continued my walk along the beach, up onto the Promenade and onto the footpath for New Barns Bay. I didn’t have too long so I only walked for a further 10 minutes. It seemed like a popular spot for walkers and I could see why. The views just kept on getting better and better. A shame that I had to turn back and head for the station. Then disaster struck, my Northern Rail train to Silverdale was delayed by a good half hour. The public footpath near Arnside station offers more majestic views of Morecambe Bay and this lovely stream. A geographer’s paradise. Panoramic view once more of Morecambe Bay from the other side of the train station. All was not lost however as I found the entrance to a public footpath leading to Storth and Sandside . This curved footpath along an embankment was the perfect way to turn a negative into a positive. The views were equally as grand and I was only too happy to bring out the binoculars once again whilst snacking on a banana. What a great day this was turning out to be. Last week my girlfriend and I went camping up in Scotland, the country where i spent most of his upbringing. Whilst we didn’t go to the placed where I lived, given the brief pit stop at St. Johnstone FC for a quick snap of the stadium, we had a wonderful time. The stunning backdrops, the friendly people, the ‘I can’t quite make up my mind’ weather, the intimacy (steady!) of the small tent and of course, the tea. Anyone who knows water quality knows that soft water is king and as well as Yorkshire, Scotland boasts some of the finest soft waters anywhere in the world. When you add all the factors together, I basically had a field day. 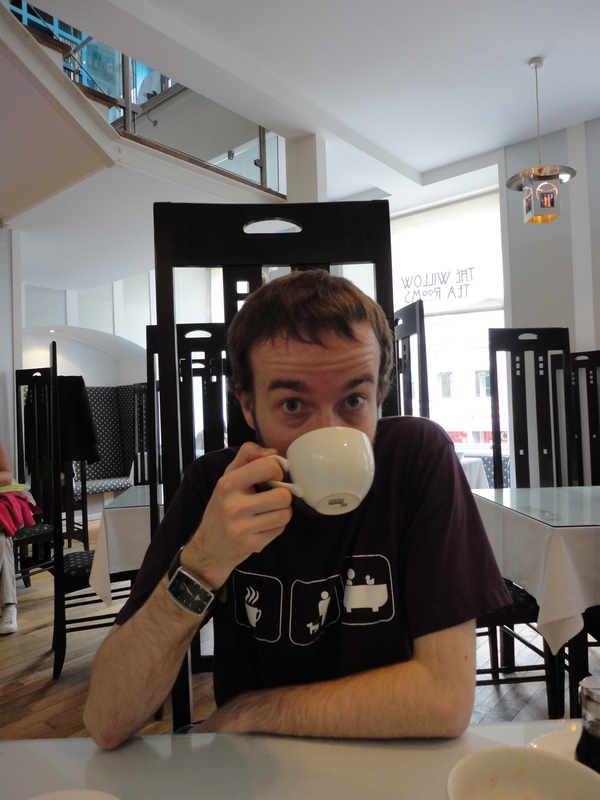 Here’s some of my tea adventures in Scotland. Clatteringshaws Visitor Centre, New Galloway. 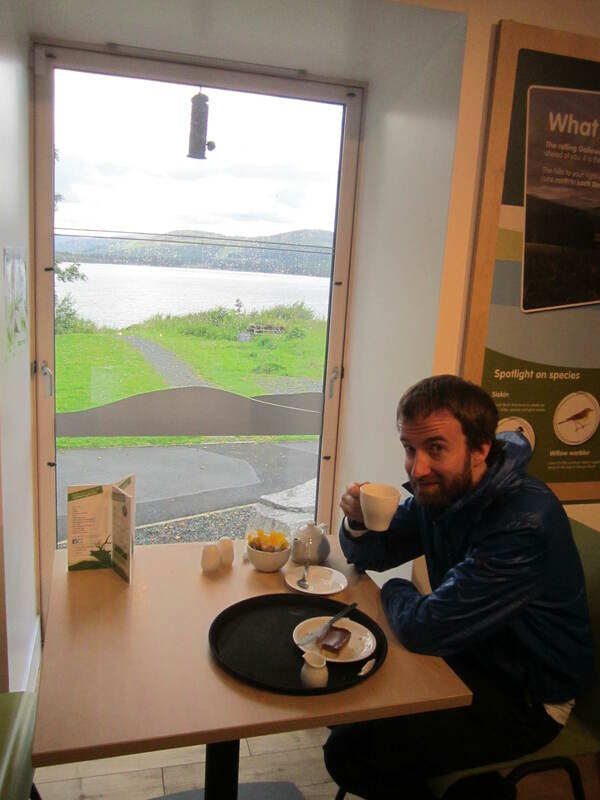 This was a terrific moment as it was the first cup of tea of the trip and where better to have it than by the side of a Loch? There was plenty of loose leaf tea options and seating available. The millionaire shortbread was to die for too. I recommend the walk to see Bruce’s Stone (former Scottish King) and the ‘surfboards’ by the Loch. Seeing is believing! The Coach House Coffee Shop, Luss. Luss is a bit of a jewel in Loch Lomond’s crown. The small village boasts plenty of attractions, such as the beach, pier and beautifully maintained cottages. it’s also home of The Coach House Coffee Shop. A very spacious tea room with outdoor seating and again loose leaf tea is on the menu. We both went for the cream tea option and then spent the rest of our visit not talking to each other. The image above may help identify why. After a stroll around the gorgeous Balloch Castle Country Park we hopped on a train to Glasgow. A complete change of scenery you might say. Luckily for me it was a chance to visit Willow Tearooms for the first time. The tea room was designed by renowned designer Charles Rennie Mackintosh in 1903. With its elegantly long chairs, this is a loose leaf tea lovers paradise. The menu was extensive and the prices are very reasonable. Oh and the porridge was (and very likely still is) incredible. A superb pit stop en route to Callander from Loch Lomond via the breathtaking Duke’s Pass. All the stops made for those belting views in the light rain got us both thirsty for a pot of tea and a late breakfast sandwich. This tea room has all the makings of a log cabin with a very homely feel. You could happily spend a good few hours in her drinking tea to warm the cockles. Lochaber Farm Shop, Fort William. The Lochaber Farm Shop took us both by complete surprised as it was an unplanned pit stop for lunch after failing to find a parking spot in a cafe back in Fort William. Drive a little further North and head for Ben Nevis. You’ll come across this hidden gem of a tea room with a farm shop next door. On sale here you’ll find loose leaf tea from Suki Tea and arguably the greatest sausage and egg sandwich in Scotland. The views are some of the finest we saw in Scotland too. I can’t recommend this place enough. More breakfast jolly japes were had on our tour of Scotland here at the Blair Atholl Watermill. As well the fine exposed stone built surroundings inside, this cafe even produces oatmeal on site. The bakery section is very popular too. Of course I couldn’t resist a purchase of 500g worth of medium-sized oats (which taste exceptional by the way). Blair Atholl is a lovely little place and the Watermill offers a very friendly and relaxing setting for a pot of tea. 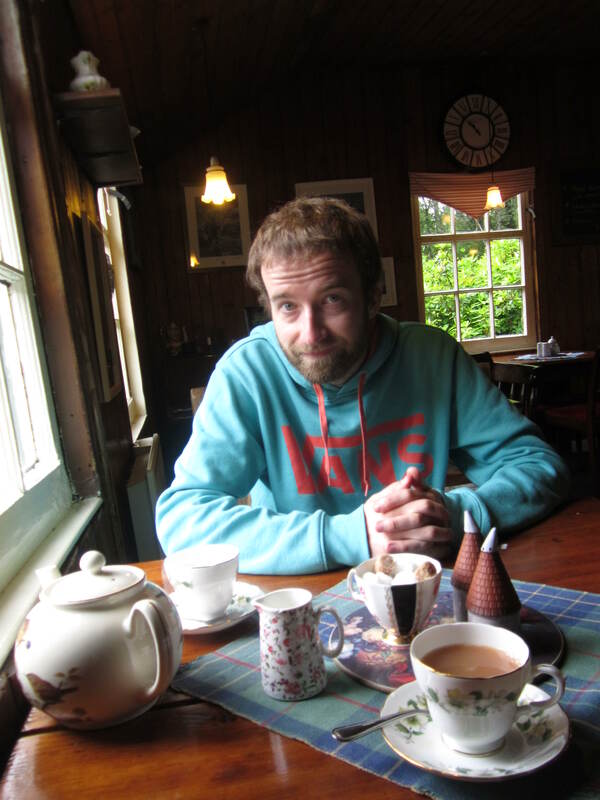 If you love tea, camping, views and soft water, Scotland is the place to be. Cafe Workhouse is something to be celebrated in Bristol thanks to its excellent tea variety, bespoke food menu and staff who are passionate about their work. Every now and then I find myself outside of God’s Own County of Yorkshire. Often this is when I’m seeing my girlfriend in Somerset. I do like Somerset I must admit. It’s home of institutions such as Thatcher’s Cider and there’s many villages and landscapes that remind me of home. Whenever my girlfriend is working and I’m on holiday, I always make time for a day out. Bristol is one of those places I like to go to. A nice train ride, a little bit of iPod listening on the way into the city centre, a nice breakfast somewhere and then either some sightseeing or a movie. It were a cracking day out in Bristol. You get some pleasant views of vibrant city of Bristol when in here. And then I’m gasping for a good cuppa and a bite to eat. 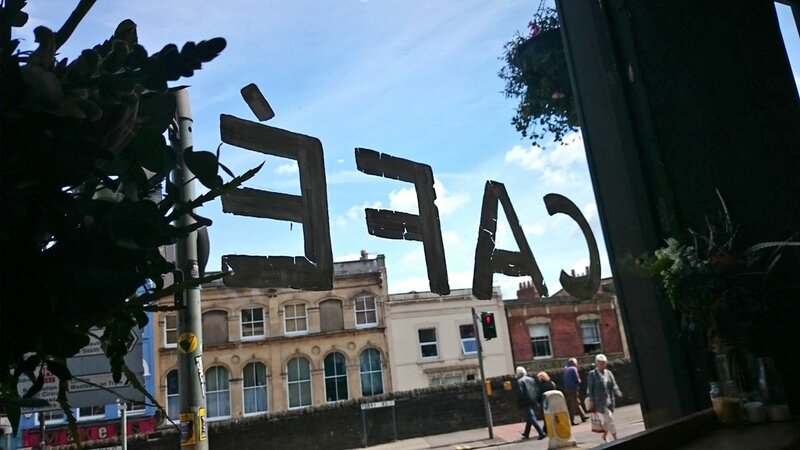 I went to Cafe Workhouse on Perry Road in Bristol. It’s near Park Street for those unsure. I came to know of Cafe Workhouse thanks to Twitter. I’ve been before and struck gold when I saw the loose leaf tea selection. There’s a blend for everyone; black, green, herbal, fruit, rooibos and I’m probably right in thinking there’s an Oolong in there. It was a cracking afternoon, maybe 1pm or so when I bobbed in for a brew. I was just listening to some Kanye West who was demanding someone get him some croissants in his song ‘I Am A God’. I’m not one to be demanding although I did fancy a croissant so I ordered a pot of Builders Brew and the said pastry. Look at all those jars of tea in the background. Come to think of it, look at all the wonderful food options too. What’s special about their Builders tea is that it’s got Java tea in it. Someone tell me of a place selling a builders/breakfast blend with Java tea in it? This cafe not only stands out for that but for its amazing staff too. 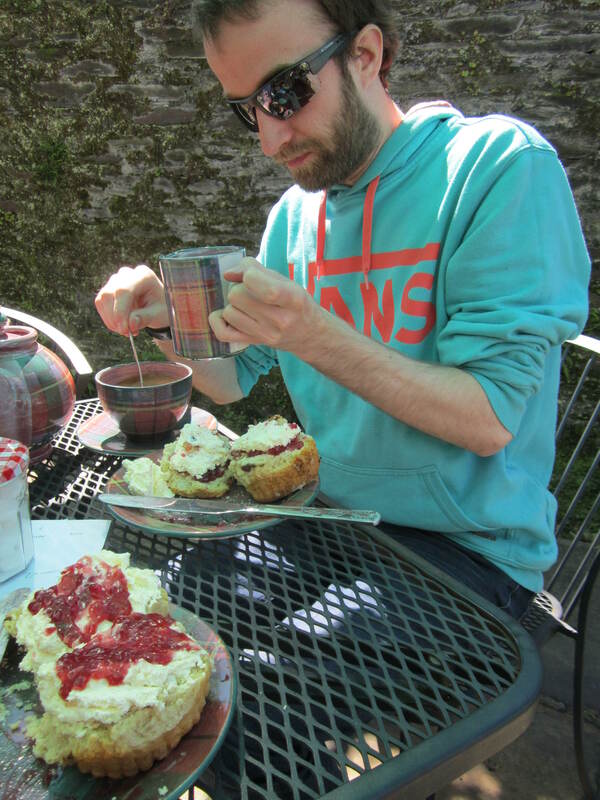 I got chatting to Chris (the gaffer in charge) over my tea and pastry break and had a whale of a time discussing all things #teaclub, tea and cafes in the Bristol area. We even deviated and discussed ciders and good food. By the way this cafe has something unique and inspiring going on every time in terms of lunching ideas. A real must for foodies. I think this was my fourth or fifth time in the cafe and I know for a fact I’ll be here again and again (possibly even again!). 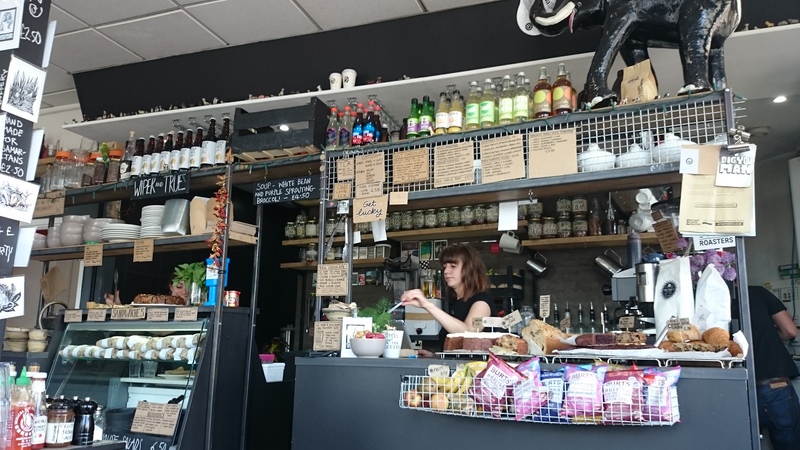 Cafe Workhouse is something to be celebrated in Bristol thanks to its excellent tea variety, bespoke food menu and staff who are passionate about their work. My only regret is that I didn’t have any change left on me to leave a tip (forgive me?). I have however something else lined up for them next time I’m down to say thank you. 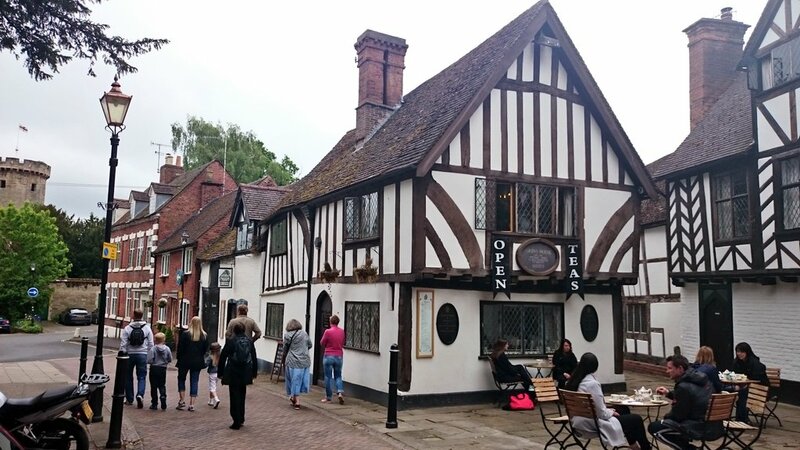 Thomas Oken Tea Rooms, Warwick. Earlier this week, my delightful girlfriend suggested we have an overnight stay in Warwick. 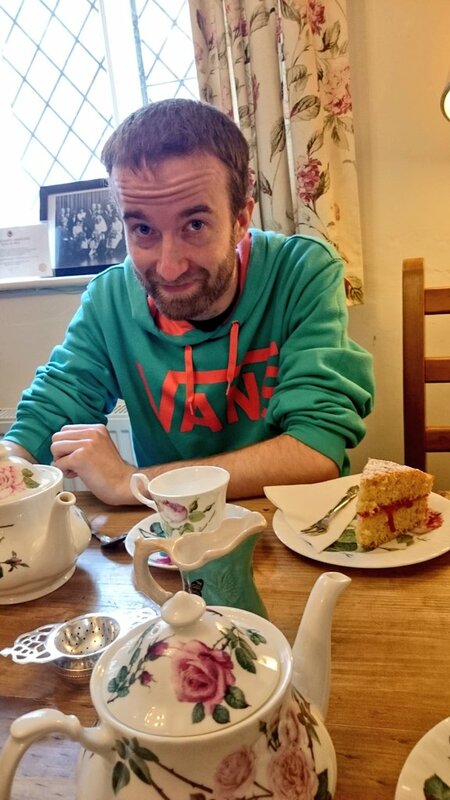 I was given the fine task of looking up tea rooms in the area whilst Charlie did a bit of research on the sights of Warwick, Leamington Spa and Stratford-upon-Avon. Imagine my delight when I joined the dots to realise that we follow Thomas Oken Tea Rooms on twitter and they’re in Warwick. I made sure it took centre stage in our to-do list. The exterior of Thomas Oken Tea Rooms. Magnificent. Arriving into Warwick after a pit stop at Bourton-on-the-Water – home of Brum don’t you know – we bobbed into the tea room. It looked cracking from the outside. A beautiful tudor house situated by the castle walls. I were gasping and in true rock n’ roll style, we arrived 1 hour early. So early in fact that there wasn’t a table available. Fearing we may have to wait an hour (which is an eternity when you’re thirsty for tea), a table became available. Just when I was about to say ‘happy days’, the manageress of the tea room recognised me as the chap from the #teaclub. Well at this point I had to just straighten my imaginary tie and introduce myself in person. I waved to the adorning crowds. Inside the atmosphere is very relaxing. The cakes meanwhile, are very tempting. The menu was presented to us and we went straight to the page that mattered the most. Well, Charlie opted to drool over the cake menu whilst I debated over which tea to have. I had just about made up my mind to have a pot of Ceylon when I saw a page of speciality teas, which featured teas from places such as Malawi. Yes, Malawi! I’ve only experienced Malawi tea twice in life and find it incredibly hard to get hold of. I ordered a pot of the stuff whilst Charlie went for a Nilgiri based on my recommendation. Oh, and we had a couple of lovely cakes to go with our teas – mmm, Victoria Sponge. This was a time to take in the beautiful interior. To my left was the shop, where one can buy plenty of tea themed gifts. To my right were lots of people enjoying tea (and unfortunately coffee). In front of me was a wide selection of cakes. They look homemade, they taste homemade so therefore I’m going to say they are homemade. The tea and cake arrived. Malawi tea. Any tea room serving Malawi tea gets a thumbs up from me. Oh my days. The floral designed teapots were huge! They weighed a ton too. A sign that you have been presented with a very generous amount of tea to enjoy. The vintage tea cups were smashing too. Everything here had already exceeded any expectations I may have had coming into this. Waiting impatiently a good 3 more minutes before pouring, I asked my girlfriend to distract me with conversation. We discussed Pythagoras Theorem There was silence shortly after as we enjoyed our teas. What a privilege it was to be sat in such a grand setting, with the woman I love and drinking tea from Malawi. Its taste was exceptional. A black tea for the Assam lovers. Tea from Africa in general is a hit with me; Tanzania, Rwanda, Kenya, South Africa are all brilliant tea growing countries. For those asking, the Malawi tea here is from the Balaka region. 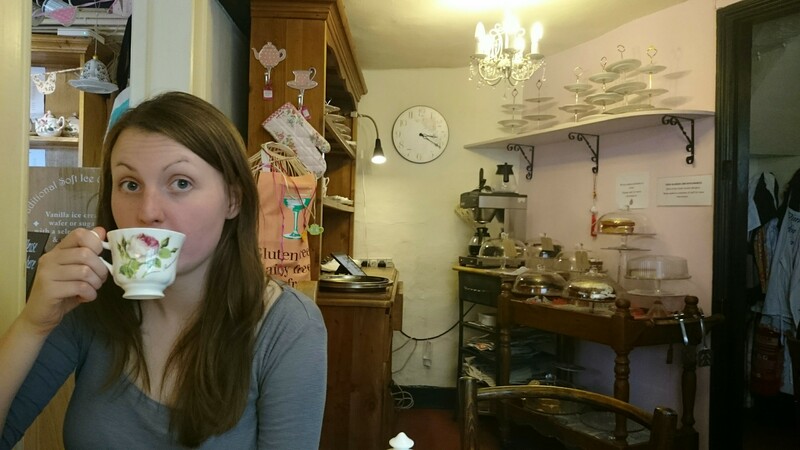 Our very own M was in tea heaven here and could have happily spent all afternoon drinking tea and eating cake. The staff were all very friendly and we were well looked after. I was personally in tea heaven for the hour or so we had. Sometimes words alone don’t do places of interest justice. This is one of those places. There are so many generic tea rooms out there but this one has real character. From the historic building to the delicious food and drink, you will not be disappointed with the tea or cake here and I suspect this goes for the whole menu. Although we cannot comment on the coffee here. A big thank you to all the staff for having us. We look forward to returning one day in the near future. 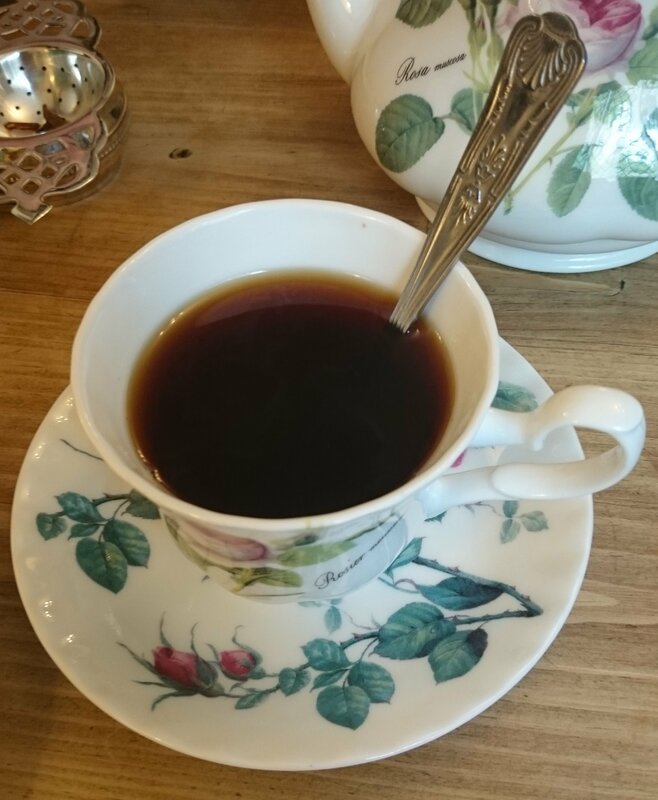 Quote ‘#teaclub’ for no discount but a free plug for us.